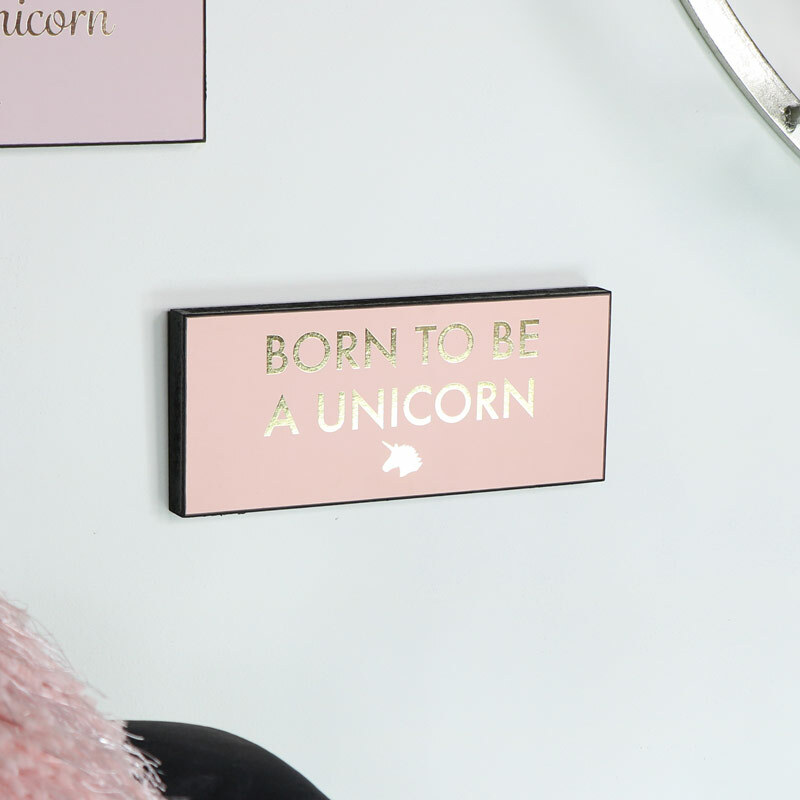 Pink Wall Plaque "Born to be a Unicorn"
< Pink Wall Plaque "Born to be a Unicorn"
Add a dash of unicorn magic to your decor with this wonderful little wall plaque. Full of magic, rainbows and fun. This is a great plaque for expressing your fun nature and a great gift idea. Printed with the quote, "Born to be a Unicorn", in shiny metallic gold lettering against a pretty pink background. This plaque is a fantastic gift idea for all the unicorn lovers out there. Perfect for hanging in the living room, hallway or bedroom, particulary a girls bedroom. Add a dash of unicorn magic to your decor with this wonderful little wall plaque. Full of magic, rainbows and fun. This is a great plaque for expressing your fun nature and a great gift idea. 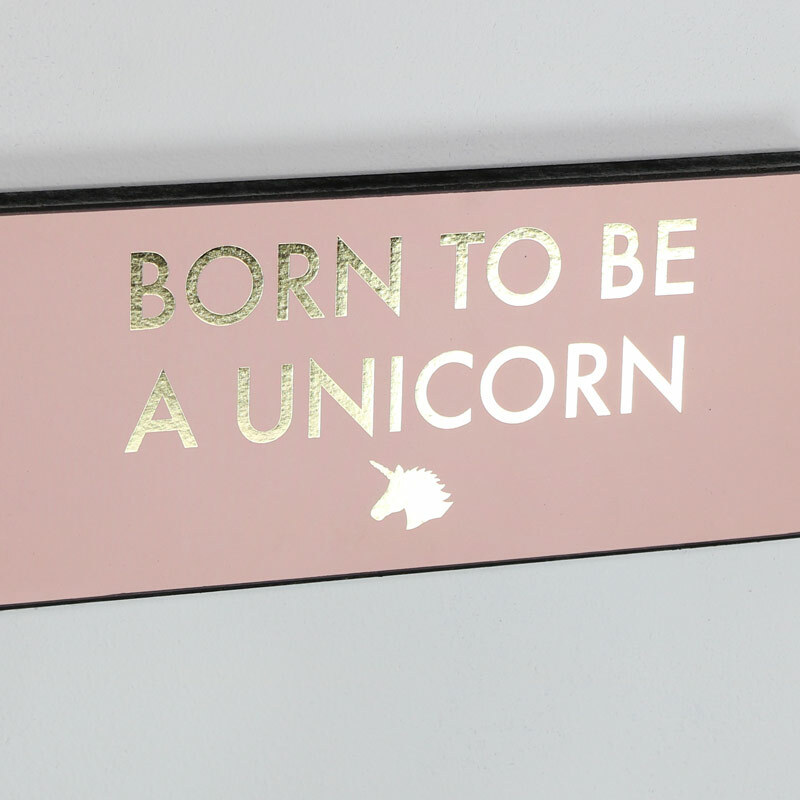 Printed with the quote, "Born to be a Unicorn", in shiny metallic gold lettering against a pretty pink background. This plaque is a fantastic gift idea for all the unicorn lovers out there. Perfect for hanging in the living room, hallway or bedroom, particulary a girls bedroom. Made from wood with printed front in colours of pink and gold. Easily wall mounted with a hole on the back for attaching to a wall hook. Looking for that perfect plaque or sign that will add the finishing touch to your home, we have wall mounted and freestanding plaques and signs in a variety of sizes, styles and finishes.